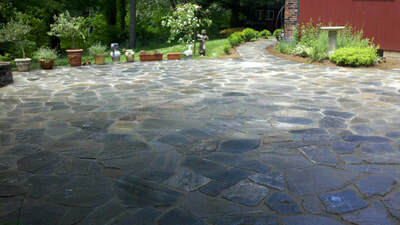 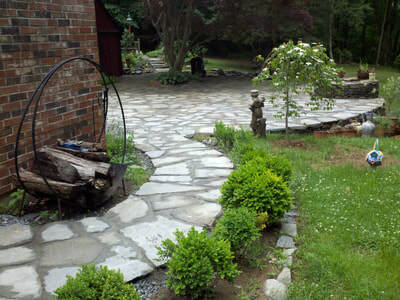 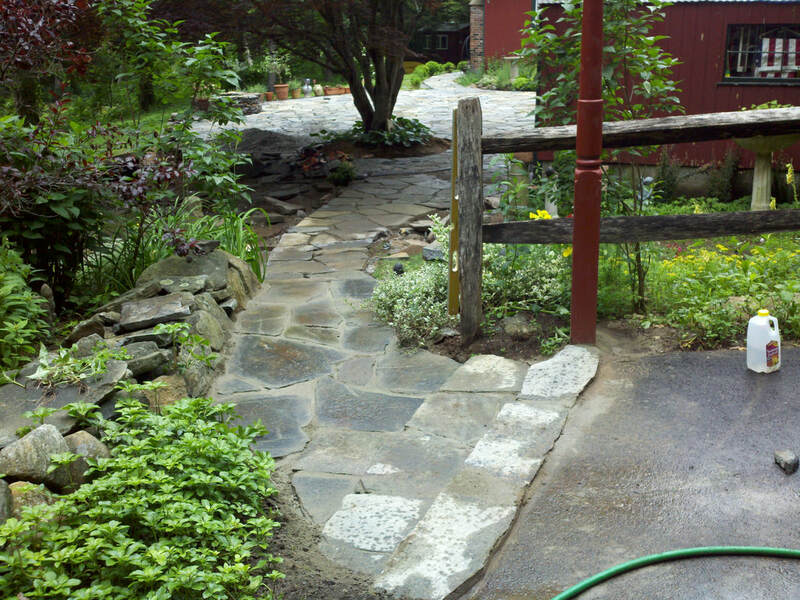 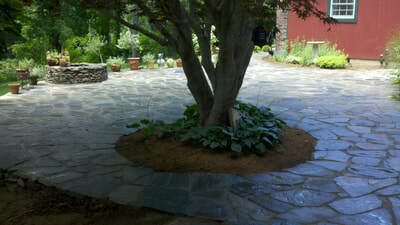 This patio has a rustic appeal, being built with rock straight from the quarry. The glorious red maple gives shade for the hottest days, while the patio is large enough to also accommodate seating with a sunny aspect. 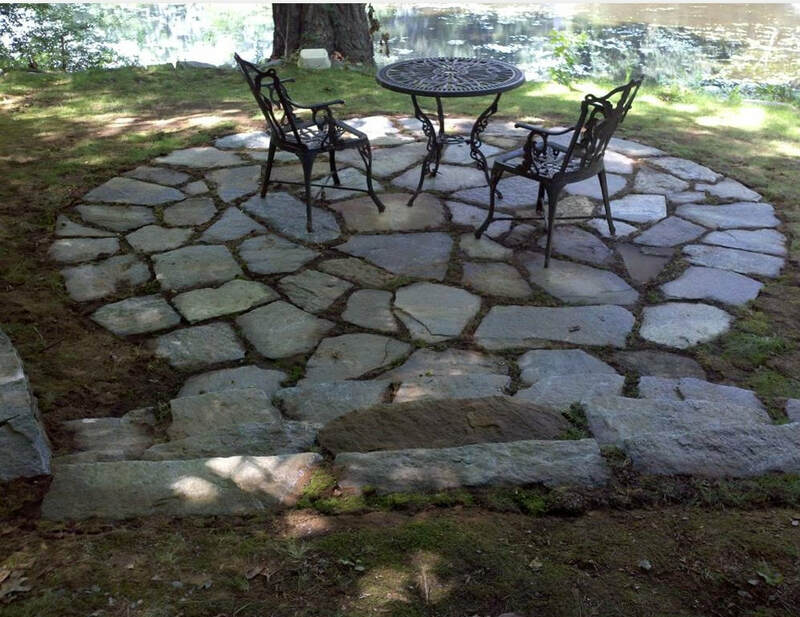 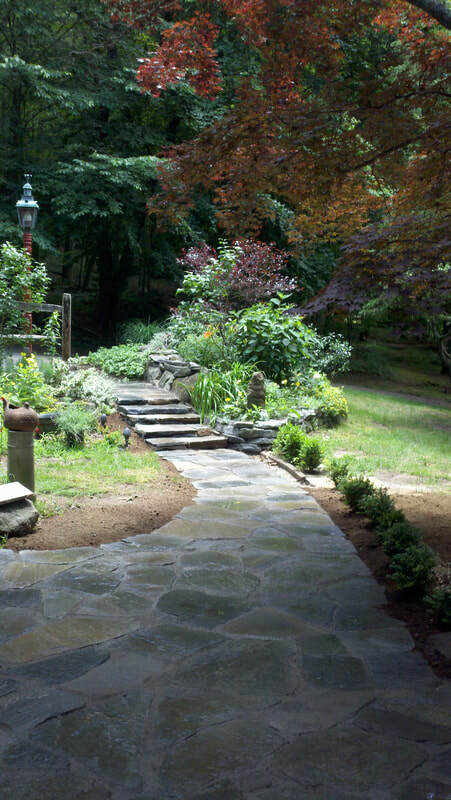 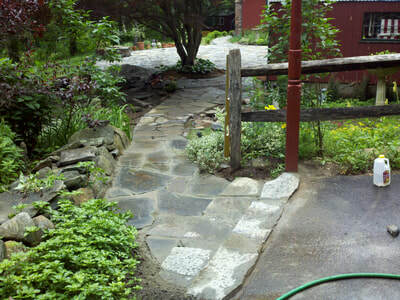 A retaining wall was built to eliminate the sloping ground, and during excavation, we again found the original well, and again turned it into a patio feature. 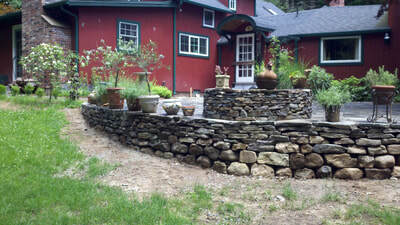 As this well was a good 30 feet deep, we built a mesh framework into the wall, which spans the opening to prevent any mishap. 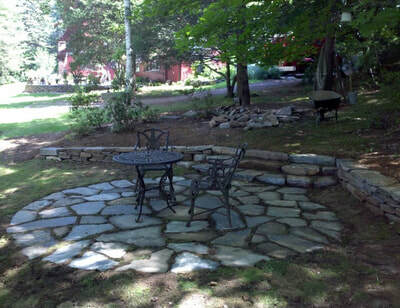 On the same property we also built this woodland patio, perfect for reading the morning paper with a cup of coffee. ​Yet just a stone’s throw from the house.